by Robert Burrows, (Founder of the Wolseley Register) and added to by Norman Painting. In March 1895, Herbert Austin was appointed Company Engineer to the Wolseley Sheep Shearing Machine Co. Ltd. in Aston, Birmingham, and on May 19th 1896 was granted permission to build two motor cars, both being three wheelers, the first one completed being exhibited at Crystal Palace in December of that year, where one was ordered and sold for £100. 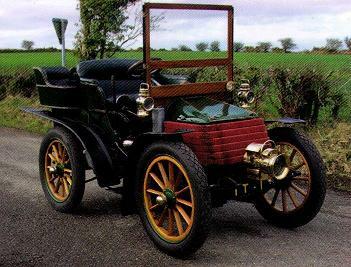 A Bolle`e type tri-car believed to have been made by Herbert Hall Mulliner, with the engine designed and made by Austin, was probably completed in early 1896 and this car and one of Austin’s three wheelers still exist. One of the first 4 wheeled cars, the 3.5hp Voiturette built in 1899 was awarded a Gold Medal for its performance in the Automobile Club’s 1,000 Miles Trial in 1900. An 8hp model also took part without success; this being the first two cylinder model with wheel steering, but this car did not survive. Between January 1897 and October 1899, an unspecified number of cars were made and sold, probably all three wheelers, with the first four wheeled car being sold in November 1899. In February 1901, Vickers Sons & Maxim Ltd. acquired Wolseley’s car and machine tool business, and set up the Wolseley Tool and Motor Car Co. Ltd. in a former cycle factory at Adderley Park in Birmingham. The oldest surviving record ledger starts with car number 47; it indicates that orders were accepted in the autumn of 1900, but the earliest delivery date is in March 1901. It is thought that systematic production only began after the Vickers takeover. The early Wolseleys, built to Herbert Austin’s design, had transversely mounted horizontal engines with one, two or four cylinders. They had primary drive by chain to a seperately mounted gearbox, with final drive also by chain. Their trademark was the so-called ‘bee-hive’ radiator, constructed of finned tubes which wrapped around the front end of the car. The important models were the 5 and 6hp (single cylinder), 7.5, 8, 10 and 12hp (two cylinder) and various larger four cylinder cars, including the famous racing cars. 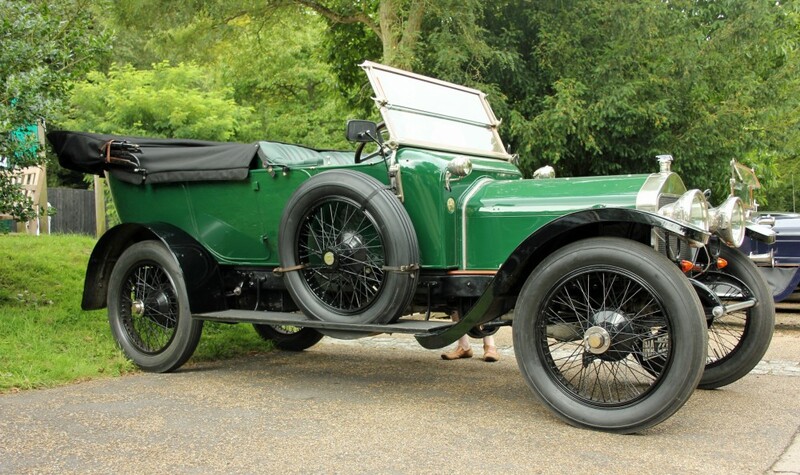 However, no four cylinder Wolseley from this period is known to exist. 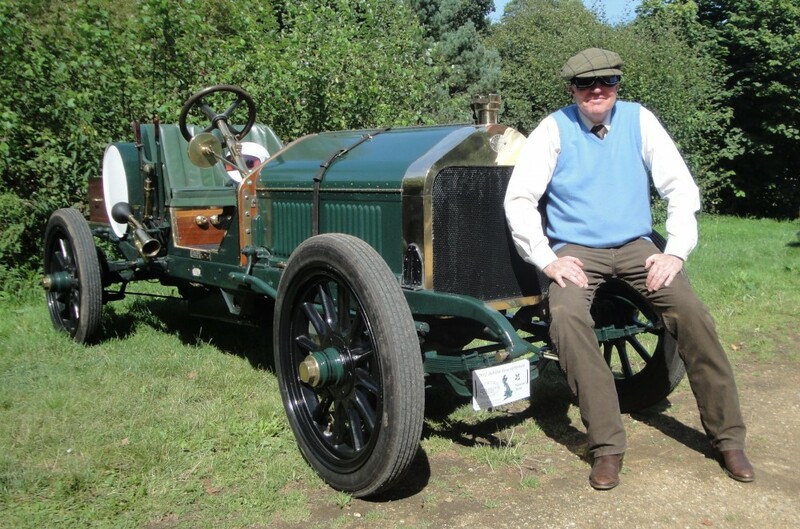 In 1903, Vickers also formed an alliance with John Davenport Siddeley (later, Lord Kenilworth), who had designed a car with a vertical engine based on imported French models. Vickers undertook to make Siddeley cars, which were constructed in a new factory at Crayford, Kent, which opened in late 1903 or early 1904. Production of a new Austin designed small car, the 6hp single cylinder model, was also transferred to Crayford and this car formed the basis of the ‘Little Siddeley’, which had an ordinary radiator. Growing disagreement over design between the company’s management and Austin, led to the latter resigning in 1905, soon afterwards to start his own company making cars at Longbridge, near Birmingham. Siddeley was appointed general manager in Austin’s place. The year 1906 was the last for the horizontally engined models, they were at first supplemented but soon replaced by Siddeley’s vertical engined cars. For a time, the Wolseley name all but disappeared, and the cars of the 1906-1909 period were commonly known as Siddeleys. Siddeley left the company in 1909 and like Austin, begain making his own cars (the later Armstrong Siddeley’s). 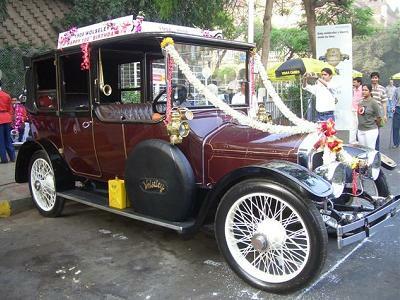 The 1910 models were known as Wolseley-Siddeleys, and from 1911 the cars were plain Wolseleys once again. By now the company was among the leading British car makers, active also in such diverse fields as commercial vehicles, marine and aero-engines, and other engineering activities. Wolseleys had Royal patronage – HM Queen Alexandra had several of the marque, and they were exported in large numbers to Australia, Canada, India and New Zealand. Wolseleys were also built under licence by the Wolsit company in Italy. Operations at Crayford ceased in 1908, but the Adderley Park factory was extended several times and was one of the largest car factories in Europe. 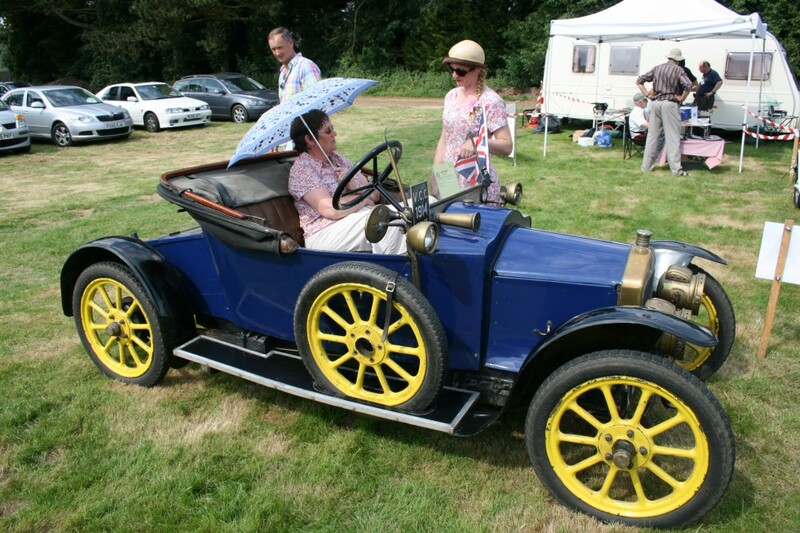 In 1914, another Vickers subsidiary, the Electric and Ordnance Accessories Co. Ltd. of Aston in Birmingham, brought out a small car called the Stellite. In fact this was designed and sold by Wolseley. During World War I, Wolseley was active in munitions making; in addition to trucks, staff cars, ambulances and armoured cars, the company built Maybach, Renault and Hispano-Suiza aero engines under licence, developed hits own range of aero engines based on its own and the Hispano design, and built complete aircraft in a new dedicated factory in Bordesley Green, Birmingham. Shell cases made at Adderley Park were shipped to the Electric & Ordnance Accessories Co. Ltd. factory in Ward End, Birmingham for filling, and Vickers sold this factory to Wolseley in 1919, who then took over production of the Stellite cars. The relatively high number of surviving pre-1914 Wolseleys testifies to the popularity of the marque in those days. A large proportion is overseas. Luckily, the majority of the order books and technical car records from 1901 onwards is preserved. These have been consulted to verify car details, including delivery dates. It has even been possible at times to trace certain cars from the Engine Numbers where the Car Number for some reason, was unknown. However, it cannot of course, always be guaranteed that the correct record has been consulted. This applies particularly in the case of the early cars, where the records are not very detailed and Car Numbers are often in doubt. You need to be logged in to see this part of the content. Please Login for access.